Fall is 5 short months away (Dev Beta is available today). If you haven’t updated your app in awhile, now is the time to do so - before Holiday Season picks up! According to Apple, almost 9 out of 10 people in their install base is running the latest version of iOS. iPhone 4 will not be able to support iOS8, so this is something to consider if you have an enterprise deployment running on older devices. We cannot stress enough how excited retailers should be about this. Never forget (or remember) a Password again! Use your thumb to log-in to accounts, carts, loyalty programs and more. This will be a significant development in ease-of-use of the checkout flow. Expect to see app conversion rates run even higher than their current 4 – 5x that of mobile web (per customer). Think Push Notifications were a bit one dimensional? Now they can be active. Like, Comment, Reply or Confirm from the Action Screen. This can help add interactivity to the current Push system. Get quick info in your Notification Center! Not just limited to Sports Scores, users can now pull up Wish Lists faster. Just think how useful this will be during Holiday Season. 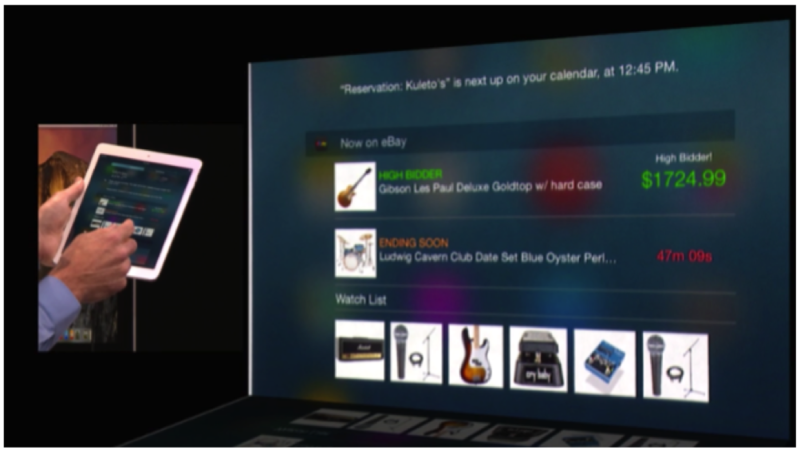 Instead of jumping from app to app, iPhone users can access all Wish Lists from one central place. Users can also even develop widgets to track Price or Stock Alerts and issue notifications when an item is available or on sale. The latter is already an existing feature of the GPShopper Platform, so this additional capability to receive the alert in the Notification Center is an easy transition. Apps can start playing well together in the currently very lonely sandbox. One app can call features that another app makes available (think translation or other similar services). 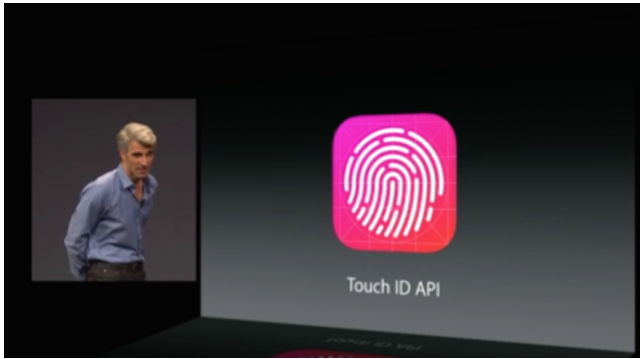 What makes this significant also is the high adoption that already exists on Touch ID. In fact, over 83% of iPhone 5S phone owners already use TouchID, so this is a natural behavior for a majority of users. It seems Apple is taking a stand for consumer privacy, rendering Wi-Fi tracking (a.k.a. MAC address-sniffing) next to useless. Currently, some retailers are tracking the movements of customers visiting their brick-and-mortar stores without their knowledge or permission, logging any phone within Wi-Fi range. But any phone using iOS 8 – about half of all U.S. smartphone owners – will be exempt. According to The Verve, when iOS 8 devices look for a connection, they randomize that address, effectively disguising any trace of the real device until it decides to connect to a network. The change is a big win for consumer privacy, as many retailers currently using Wi-Fi tracking will be inclined to start using beacon marketing – a process that relies on Bluetooth Low Energy (BLE) technology and consumer consent. Apple itself uses beacons in-store, developing an industry iBeacon standard based on customer opt-in. Also read iOS 8 To Impede Wi-Fi Tracking. All pictures courtesy of Gizmodo.